The image below is of the Azerbaijan Tower, a mega-tall skyscraper currently under construction on the Khazar Islands in Azerbaijan. The height of the tower will reach from Earth into the sky at a distance exceeding one mile. Estimates place its completion at 2015-2020 and its value at $2,000,000,000. The Billionaire Class eagerly anticipates the world’s sexiest Mile High Club party on Earth. Vertigo is considered to be one of Alfred Hitchcock’s most influential films. The movie’s main character experiences both acrophobia (fear of heights) and vertigo (physical sensations of dizziness and rotational movement). The title sequence features fluid geometric patterns waving behind the credits. They were designed by John Whitney, an animator considered to be among the founding fathers of computer animation. 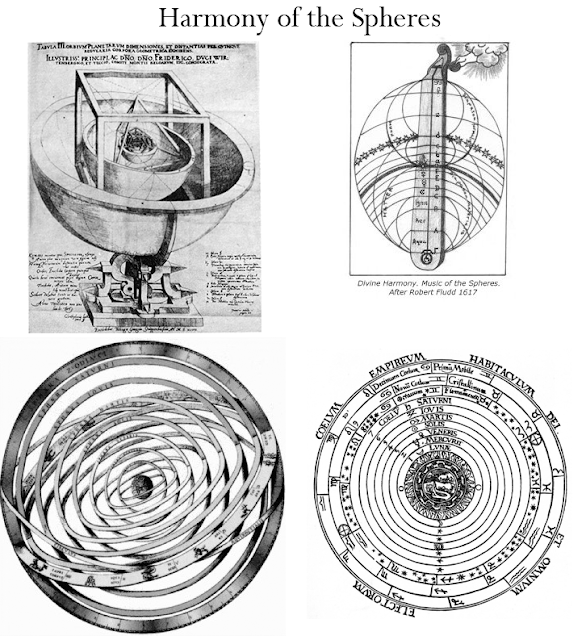 Whitney used a mechanical computer to generate the geometric shapes. The elegance of these lines were the result of underlying mathematical proportion equations called Lissajous Curves. This pointillistic and geometric aesthetic first surfaced during World War II – the curved dots served as visualization technology used when aiming anti-aircraft cannons at moving targets. For a long time I thought Virgo and Vertigo were the same thing. Astronomy and Astrology address with the highest heights of all. Astronomy observes the physical and light spectrum of the celestial worlds – while Astrology aims to reveal the inner constellations. Ancient Jewish, Greek, and Egyptian cultures described a type of cosmic music existing in the space between planets and star systems in our galaxy. The image above comes from a free app called the Whitney Music Box. The equations for these shapes were originally written by John Whitney (Vertigo animator). 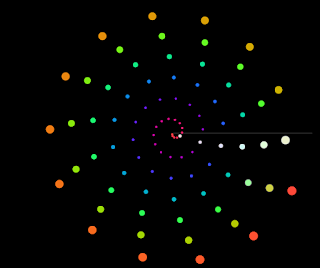 The Music Box app “performs” this rotating spiral as though it were sheet music. 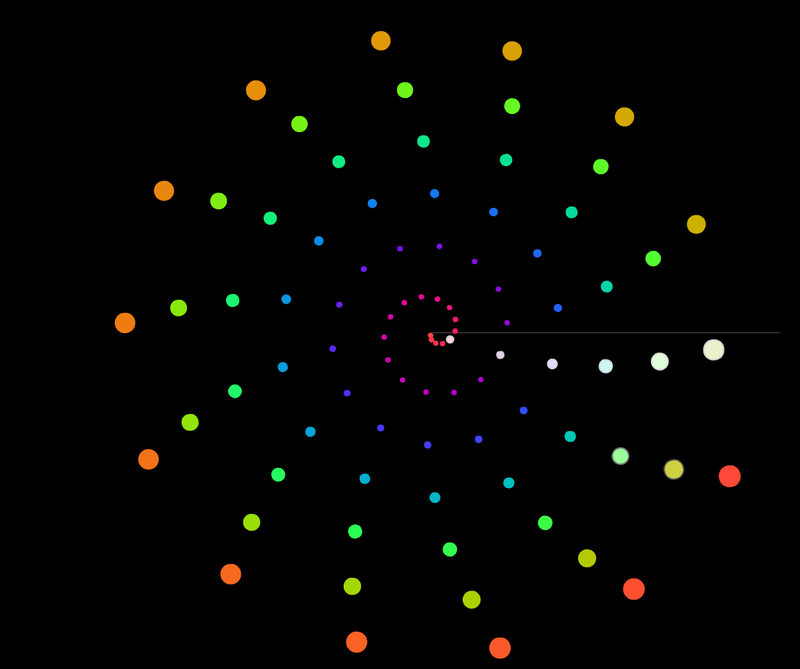 Each dot could be conceived as a celestial body with a tone defined by its spin and orbital velocity. The music box is free for everyone to play with. Don’t take my word for it! Check out the Whitney Music Box here.